It's POETS day - "Push off Early - Tomorrow's Saturday". No course, no events at the hotel. Sarah, who usually does the Friday morning shift, took the day as holiday and I stood in with a view to catching up on a few things I needed to do, expecting it to be quiet. I also decided to log comings and goings - a sort of sanity check for me to keep tabs on what goes on. And would you believe something every hour! Illustration - Well House Manor as I arrived at 06:13 this morning. And in between that little lot, we've changed three rooms between us, ironed, taken phone calls and bookings. Now "just" waiting for the final checkin on a day when nothing was going to happen! 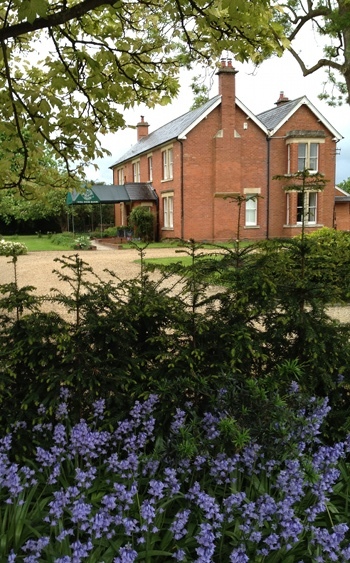 What makes Well House Manor different? How well do you know Melksham?